The group has taken legal advice and is planning legal action against the “unlawful” board. The group intends to contact shareholders, conduct supporter polls and has asked shareholders to proxy their shareholdings to the group. 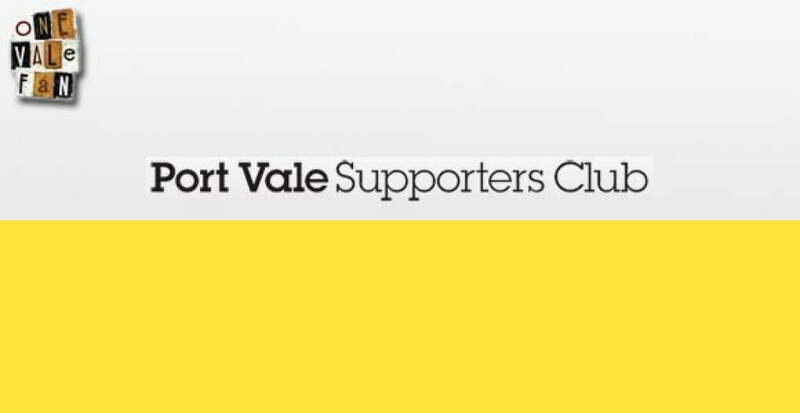 Port Vale Supporters’ Club is calling on all the club’s shareholders to pool their resources in order to help remove the current board of directors from office. The group is currently in the process of calling an Extraordinary General Meeting (EGM) amid growing unhappiness among fans and shareholders over the running of the club, the issuing of ‘nil-paid’ shares, missed deadlines and the catastrophic failure of the proposed investment by Blue Sky International. Speaking after a meeting with solicitors, Supporters’ Club chairman Pete Williams said: “We have consulted with solicitors who have advised us of the rights of Port Vale Football Club shareholders and confirmed our long held belief that the appointment of Mr Miller and Mr Deakin as directors appears unlawful. We believe that the current board has acted and continues to act without proper authority. “With the assistance of our lawyers we intend to pursue our rights as shareholders and to seek the removal of Messrs Miller, Deakin, Lloyd and Oliver with vigour. Initially, we are working hard to put the necessary measures in place to call an EGM but we will take whatever steps may be required to protect our club including court action if necessary. 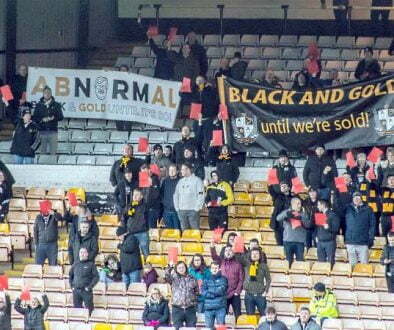 “The Supporters’ Club, in conjunction with other fans’ groups, orchestrated a very successful ‘red card’ protest at last Saturday’s home game – during which an estimated 80 per cent of fans inside the ground called for the board to step down. “We now intend to conduct an online poll and turnstile poll at the next home game on January 2 – giving as many Vale fans as possible the opportunity to endorse our plan to remove Messrs Miller, Deakin, Lloyd and Oliver as soon as possible. “As soon as we have that mandate we will press ahead and call the EGM. 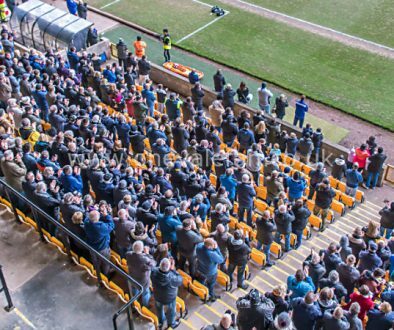 “In the meantime we will be asking all Port Vale shareholders to support us and ideally sign over their proxy to the Supporters’ Club in order that we may work together to achieve the necessary 51 per cent of the shareholding required to remove directors at an EGM. “We will be writing to as many shareholders as we are able – large and small – including former directors who have already pledged their support to us. We would urge those shareholders we are unable to contact direct to contact the Supporters’ Club direct. Mr Williams added: “It is a time for courage. 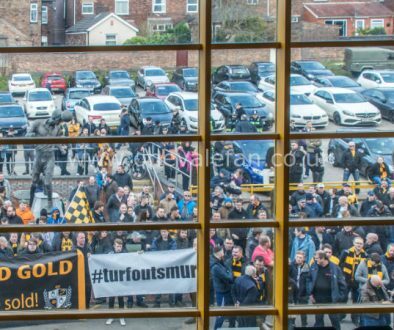 Every single Port Vale fan has the opportunity to influence the future of their club at this juncture and we would urge them to use their voice and support us. The Supporters’ Club is working very closely with other fans’ groups – Black & Gold, North London Valiants and Starve ‘Em Out. We stand united for the good of OUR club. Malcolm Hirst, of North London Valiants, said: “I sense a greater unity between the fans as we join together against a common enemy. I sense a greater determination to win. This is a battle we cannot shy away from. It is a battle that we must win, it is a battle we can win and it is a battle we WILL win. The Supporters’ Club would like to take this opportunity to wish Micky Adams and the lads all the best for the Boxing Day fixture away at Hereford and stress that the campaign by the club’s loyal fanbase to remove the current board in no way diminishes its support for the team.